Excessive daytime sleepiness or Narcolepsy is a chronic sleeping disorder characterized by unwarranted sleep attacks and sleepiness during inappropriate hours. Narcoleptics often experience abnormality and disturbance in their daily sleep pattern. When asleep, narcoleptics mainly experience the REM sleep within 10 minutes or less. Thus, most people are not prone to hours of REM sleep. Narcolepsy was derived from the word “Narcolepsy” (French for “numbness” and “seizure”). Contrary to beliefs, narcolepsy is caused by psychological problems or mental illnesses. It is more likely caused by a range of genetic abnormalities affecting the biological components of the brain. It is also caused by environmental factors triggering the brain’s development such as viruses. Narcolepsy is a diagnosable condition, although it has the tendency to go hand-in-hand with other health disorders. With numerous possible causes proven lately, a series of various tests are administered prior to systematic treatment by doctors. However, some doctors do not agree that narcolepsy is a medical condition (albeit medical associations worldwide have considered it as a valid disorder). Frequent wakefulness at nighttime – A person becomes narcoleptic when he or she suffers from long periods of wakefulness at night, along with hot flashes, massive alertness and elevated heart rate. Hallucinations – Narcoleptics are likely prone to experiencing vivid, visual, auditory and sometimes frightening sensations while awake or sleeping. Sleep paralysis which is caused by difficulty to move or talk before and after, sleeping. 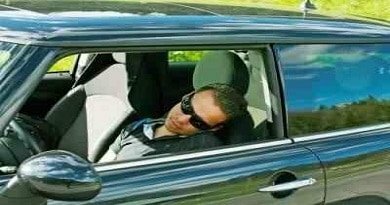 Microsleep is a brief sleeping episode in which a person continuously functions (talking, running, walking etc.) and wakes up with no memory of the activities gone through. Get rid of caffeine – Having a cup of coffee when you’re sleepy is a big no! Coffee as well as other caffeinated products may keep your mind alert and awake. On the other hand, it may cause danger to your health especially if you had too much of it. Stretch your body – Stretching increases blood flow, which triggers more brain alert functioning. Have at least 5 – 10 minutes of stretching exercises to loosen up your body. A great alternative to this is to take short walks. 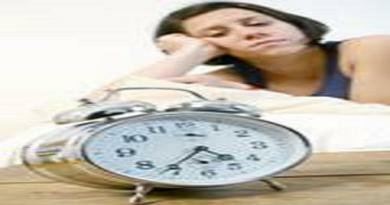 Take a short nap – Short naps works effectively for most people. When you feel sleepy, get a short nap or sleep. According to studies, taking a nap recharges the mind. When you have a recharged mind, you are ready to work efficiently again. Play some upbeat and lively music if you feel sleepy and bored.